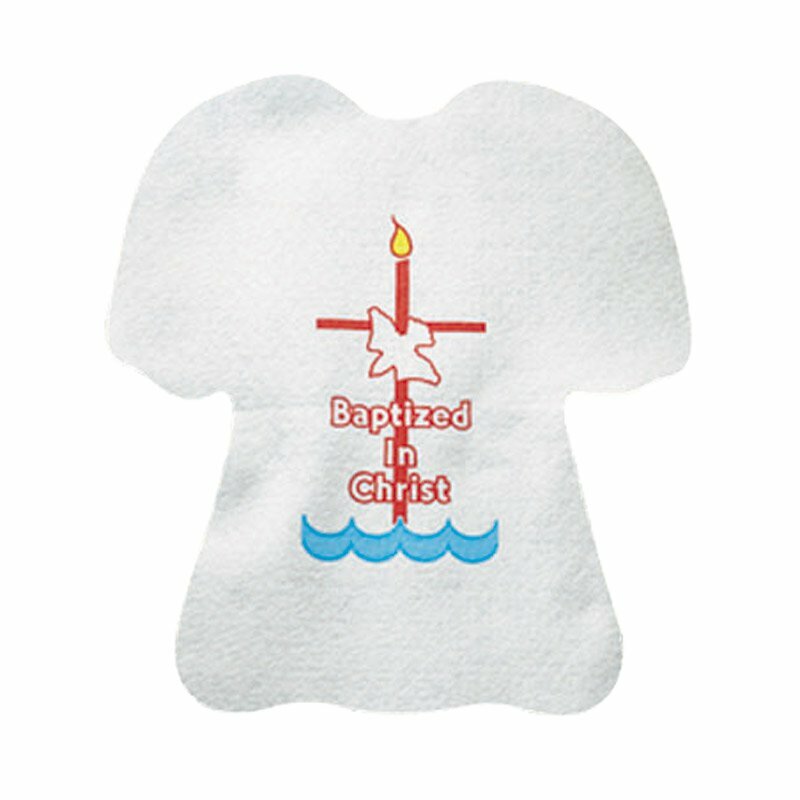 This soft felt Baptismal bib is traditionally worn when receiving the sacrament. Bib features the words "Baptized in Christ" with a full-color cross with dove, candle and water image. Each comes individually bagged.